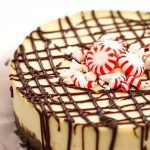 The Holidays can now officially begin, for I give you a wonderful dessert, Instant Pot White Chocolate Peppermint Cheesecake! So string those lights, hang a wreath, and light those candles, or whatever traditions you do to begin this wonderful time of the year! 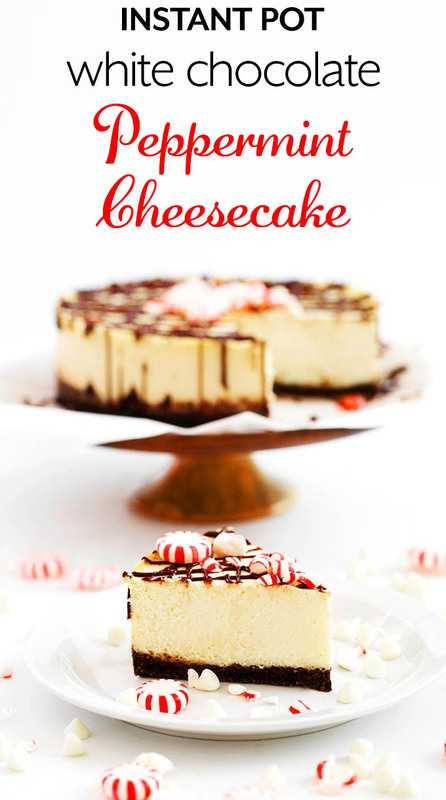 You won’t have to worry about what to bring to the feast, because this cheesecake is one that will be remembered! 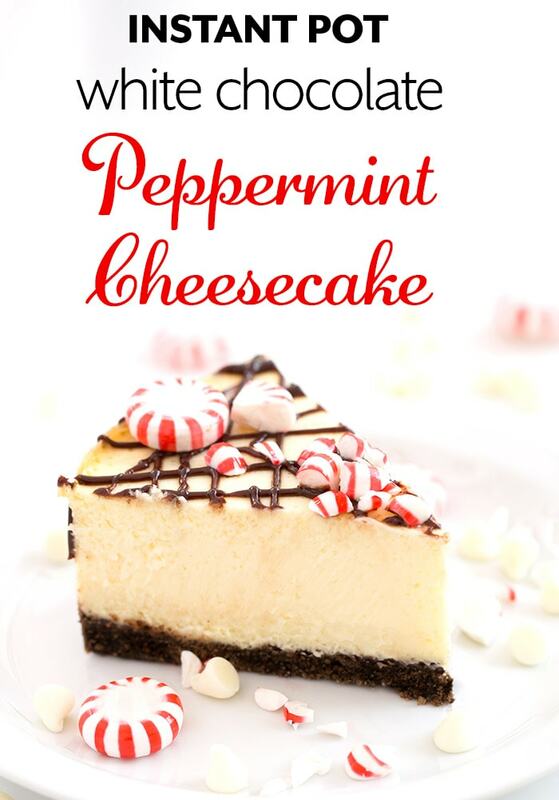 Peppermint is one of those smells that I associate with my grandparents’ home. They always had a patch of mint growing along their old wooden fence. Nana said it kept the ants away. Grandpa liked to pluck a leaf off of the plant and chew it. I tried it, but it was too strong for me! But I love mint in so many things! 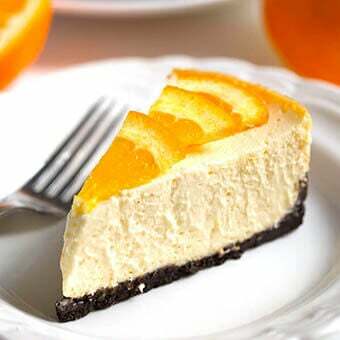 The idea for this cheesecake came to me when Paul and I were taste testing my Chocolate Orange Cheesecake, which is amazing! I told him I wanted to do something that really says ‘Holiday’. Then we started tossing out ideas, and I said mint, but there needs to be something else. Then it came to me, white chocolate! It’s funny because I don’t care for white chocolate. But I decided I would make it and let others be the judge. So, Instant Pot White Chocolate Cheesecake was born! Once it came out, and the taste testers liked it, I tried it too. I have to tell you. now I like white chocolate again! Man is this delicious! And it definitely says HOLIDAY! 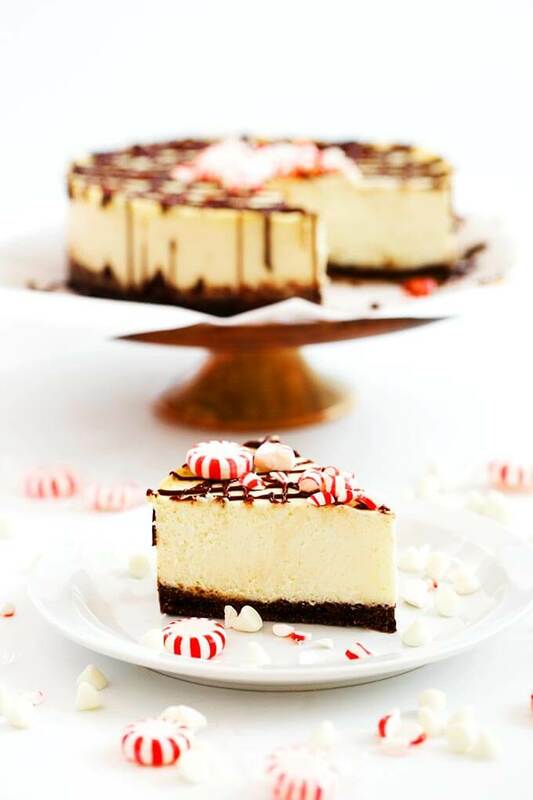 Instant Pot White Chocolate Peppermint Cheesecake is a perfect balance of white chocolate and mint. 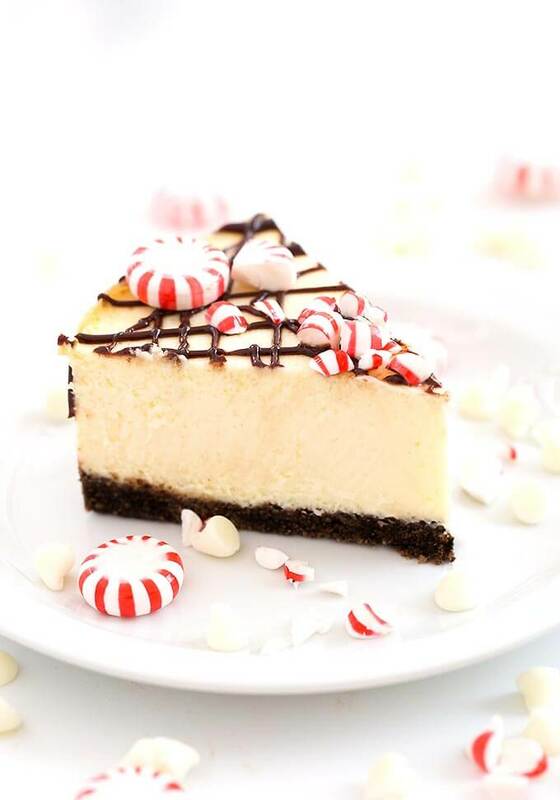 Sweet, but not too sweet, and you can still taste the cheesecake. 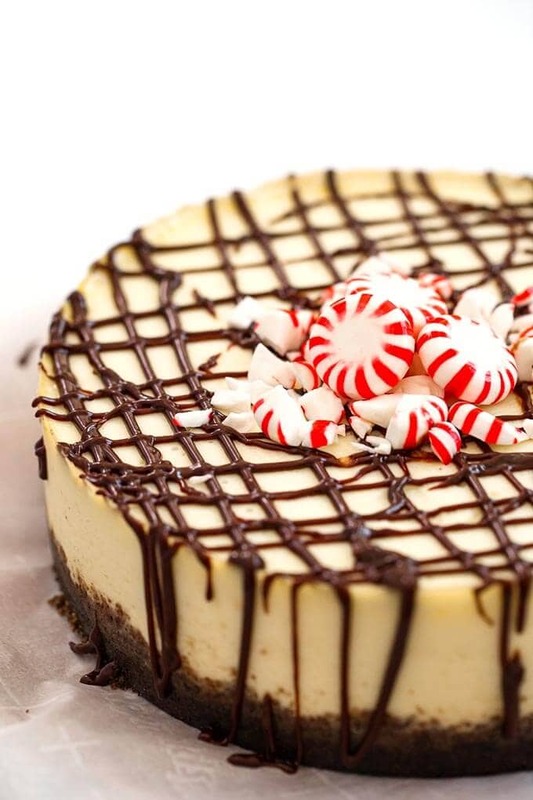 A wonderful Holiday cheesecake! Use a 7 or 8 inch cheesecake pan (I use a 7” Fat Daddio's push pan, but you can use a springform pan as well. Whatever will fit comfortably in your pressure cooker and hold all of the filling). If using a 2" high pan or a 6" pan, line the sides with parchment that stands above the rim at least 2 1/2". This will give the extra batter room, and contain the cheesecake when it rises. Spray the pan with baking spray. If you have parchment paper, cut a piece to fit the bottom of your pan and spray that too (I use Worthy Parchment Precut liners). Add the sugar and pulse several times until the cookies turn into fine crumbs. Pour crust mixture into your prepared pan and use your fingers or the bottom of a small glass (or a wood tamper) to press the mixture into place. Cover the entire bottom of the pan and come up the sides a little. You do not have to come all the way up the sides. You want the crust to be about 1/4” thick or so. Add the cream cheese, sugar, and vanilla and process until smooth and creamy. In a microwave safe bowl, add the white chocolate chips and heavy cream. Heat for 25 seconds in microwave. Stir very well and put back in for another 25 seconds. Stir very well again. It may take a couple minutes of stirring to become creamy, which is what you want. Let it cool to luke-warm, then stir in the sour cream (which helps cool it), and add it to the cream cheese mixture. Add the peppermint extract and the corn starch. Pulse several times to combine. Then process for a minute to make it smooth and creamy. Press the Manual (or Pressure Cook) button/dial and then the + or - button to choose 45 minutes. When cook cycle ends, let the cooker naturally release pressure until the pin in the lid drops down. Then turn off the pot and open the lid, but let the cheesecake sit in the pot for another 10 minutes. Cooling it slowly helps eliminate cracks. Leave covered for 10 minutes, then carefully peel off the foil/paper towel and check for doneness. Cheesecake is done when it jiggles just a little when the pan is shook. You don't want waves, but it should jiggle a little. It will firm up in the fridge. If it looks too loose, cover it back up and cook for another 5 minutes, and let naturally release for 15 minutes. 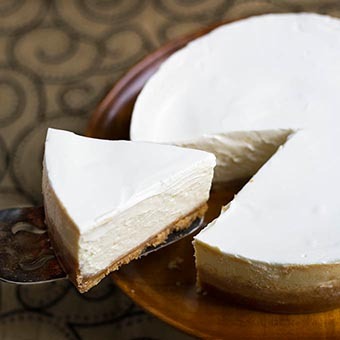 After the cheesecake is cooled and set, you can remove it from the pan and decorate, if desired. In a microwave safe bowl, add the chocolate chips and heavy cream. Heat for 25 seconds in microwave. Stir very well and put back in for another 25 seconds. Stir very well again. It may take a couple minutes of stirring to become creamy and glossy. 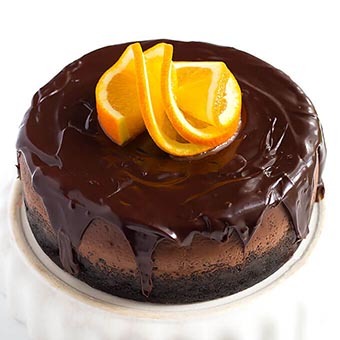 Drizzle over the cooled cheesecake and let set up in the refrigerator. A 6 inch pan, if you can get all of the filling into it, will take about 5 minutes longer to cook. An 8 inch pan will take about 5 minutes less cook time. Your recipe doesn’t say anything about putting water in the IP or a trivet for the cheesecake pan to sit on. Aren’t both necessary? Hi Carol, yes, it’s all there. I broke it up in to sections so it would read easier. Prepare the Pan. Prepare the cooker, prepare the sling, etc. Under Instructions. Please let me know if this isn’t showing. I just saw it on my Safari and Chrome browsers. Thank you for the comment. I made this and there is probably 30% too much batter to fit in the springform pan for my instant pot. I followed the recipe and I’m really concerned about this and what to do with the extra batter. Not happy right now. What size is your pan? Did you line it with parchment? Can you fill ramekins? I specified the pan size in the recipe. My pan is a 7″ springform. I made some ramekins and put them in the oven. I did not line the springform with parchment. I have some concerns because I did not overmix the batter. I did mix the batter up in my stand mixer. I should have thought about this because my normal instant pot cheesecake recipe fills the pan almost to the top and that is not with the extra cup of white chocolate and the 3rd egg though. 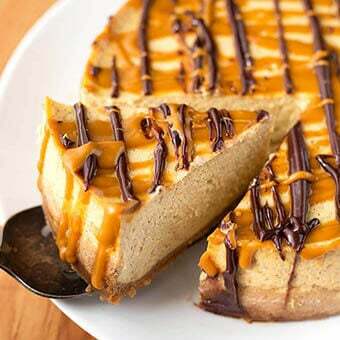 I love the flavor of the cheesecake and hope it sets up well, it’s in the fridge now. I’ll let you know how it turns out! thanks for getting back to me and have a happy New Year! Happy New Year, Sho! I hope it works for you! Was absolutely delish! Making again for the 2nd time 😉 The first time was in my 7” pan but I ordered an 8” so all the batter fit in great! I have an 8 qt. Foregoing the mint this time and doing lemon with a powdered sugar sprinkle. 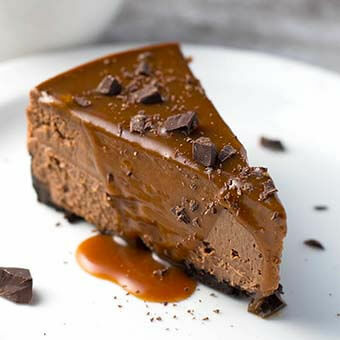 Thanks for the cheesecake recipe!